BFA Congress was held on February 19, 2019 in Taipei and was attended by 17 member countries/regions out of total 24. President Tom Peng thanked BFA members for their support and congratulated success of BFA tournaments in 2018 of U12, U18, Asia Cup and, in particular, Asian Games in Djakarta. Member Federations of Chinese Taipei, Hong Kong, Indonesia and Japan contributed to show the strength of baseball in Asia throughout these events, which is reaffirmed to see China hosting U15 and Women’s baseball in 2019. President Peng also welcomed Lao Baseball Federation as the 24th member of BFA. Guest of Honor, WBSC Executive Director Michael Schmidt, commented on behalf of WBSC President Ricardo Fraccari that WBSC is working very closely with organizing a committee of 2020 Tokyo to ensure the best baseball softball tournament. WBSC is already in discussion with the organizers to see how to implement baseball and softball at 2028 Los Angeles. 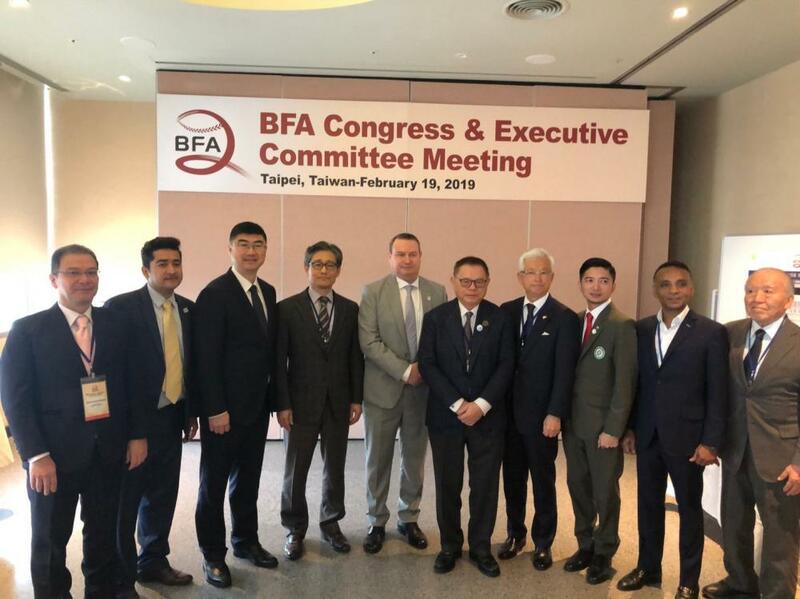 BFA honored former VP Yoshinobu SUZUKI (JPN) and a Member-at-Large Alan Mak (HKG) for their contribution over the years as they resigned from BFA Executive Board owing to retirement from the board of their respective National Federation before this Congress. All the agenda of Congress including Amendment to BFA Constitution, budget and 2019 event schedule has been unanimously approved. Nomination of Fazil Mohamed Hussain (SRI) as West Asia Development Executive Director was approved.